2 and 1/2 lb Maine Lobsters | Cape Porpoise Lobster Co.
2 and 1/2 lb Maine LobsterAll our lobsters are caught in Kennebunkport Maine off our own local boats.PLEASE CALL 1-800-967-4268 FOR LARGER QUANTITIESWhen it comes to seafood,there’s really nothing that comes close to the taste of a succulent Maine lobster. The creature has a natural freshness to it, supplying us with a delicacy that can be either grilled or boiled to your fancy. 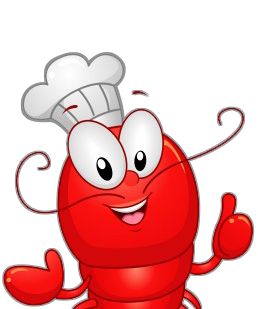 It’s that taste that we’re known for, as Cape Porpoise Lobster Co. seeks to provide the best single 1 and ⅛ lb live Maine lobsters.Browse through our varied list of lobsters, all of which are offered to customers at prices that are both reasonable and affordable. These crustaceans come straight from the source: our beautiful Maine waters. They are also perfect for any sort of cooking, so invite your friends over soon for the next big lobster boil. Of course, we’d love to hear from you about our selection and your preference. We encourage our customers to ask us what it is they’re looking for, should they not see it on the site. As lobster aficionados, we’ll be able to field your questions and provide you with the best lobster out there.For more information on our single 1 and ⅛ lb Maine lobsters, contact Cape Porpoise Lobster Co. today!